Those who have the MagMod modifiers have used the MagSphere as a diffusion tool for flashes and small strobes. One of the many requests from photographers is a larger light modifier. The MagBox is MagMods answer. There are no internal baffle or bounce, so you'll experience less light loss and even coverage giving and similar and often better results than most softboxes on the market. Included with the MagBox comes a brand new and first-of-its-kind innovation called the FocusDiffuser. The FocusDiffuser controls light like a grid, but also focuses light like a lens—all while keeping it super soft. Inside the FocusDiffuser, micro-structures alter the angle of light in 40 or 20-degree beam angles (different models), softly redirecting light forward and causing less spill. They have also designed 4 MagBox Speedring Adapters that make it easy-peasy to mount a MagBox to a studio strobe—even with gels attached! 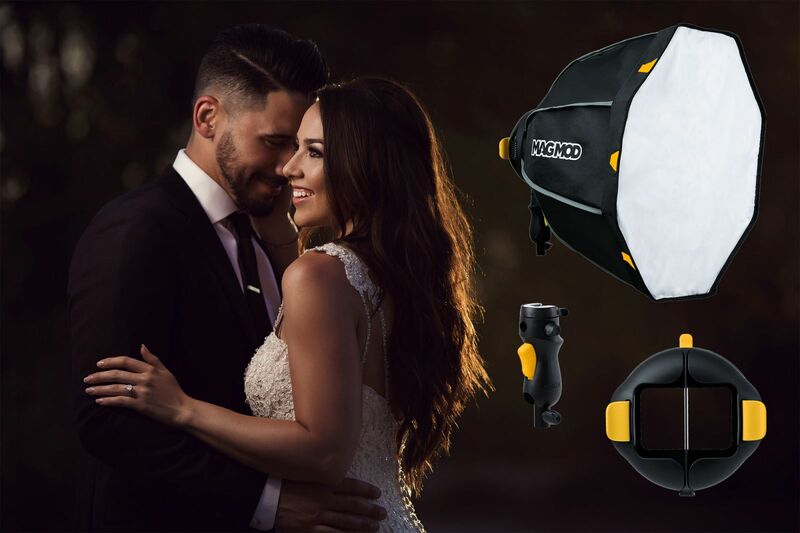 You can select between Bowens, Elinchrom, Paul C. Buff or Profoto Speedring Adapter to leverage all of the lighting awesomeness of the MagBox for larger studio lights. Each MagBox Speedring Adapter is made from powder-coated steel and feels incredibly dialed. Just place the MagBox close to the surface of the Speedring Adapter, and let the MagBox’s magnets snap it into place. And when you’re ready to pack it all up, just engage the “Magnetic Field Disruptor,” and off comes the MagBox! One small step for softboxes, one giant leap for photographers. The second item MagMod has announced is the MagRing. The MagRing is a new dual-mounted flash bracket, equipped with side by side locks to securely hold flashes into place. So no more long rails with two flashes mounted standing up. The MagRing is so convenient that you’re free to leave your mounted flash or flashes in it even when you don’t need your softbox. No need to waste time ripping apart your whole set up just cause you wanna change locations and modifiers. Speaking of convenience, the MagRing is compatible with your existing MagMod modifiers. 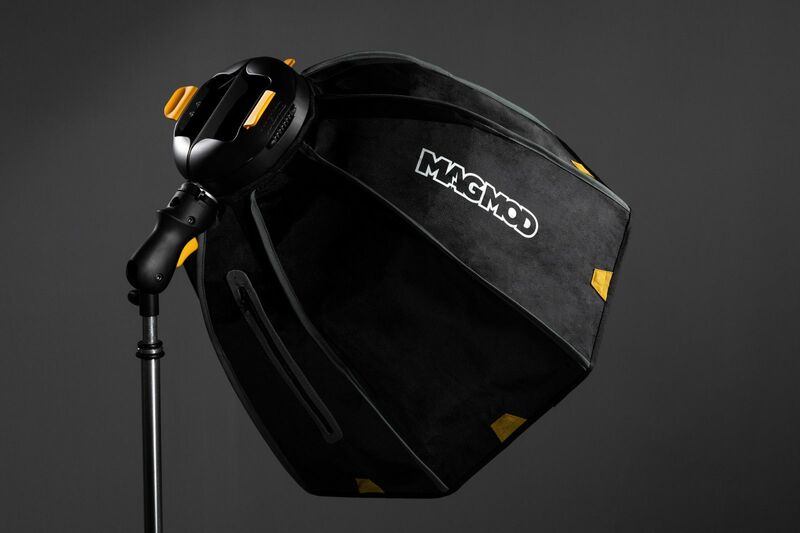 Throw on a MagGrid, MagGel or MagSphere without having to remove your flashes from the MagRing. Cold-shoes and umbrella brackets are wonky, ugly and hard to work with. You have to deal with small screws and knobs but MagMod wants to make the process and setup as easy as possible. So easy that you can do it blind-folded. The MagShoe modernizes and simplifies the typical cold-shoe design, making the process of mounting flashes easier, faster and much more secure than ever before. Operating the MagShoe is simple: insert a flash and rotate a switch. 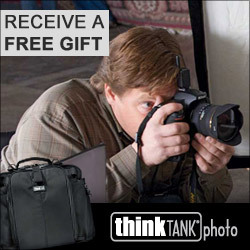 There’s no need to spend time tightening down a flash’s tedious, built-in lock. The MagShoe’s durable, custom locking mechanism renders those locks completely unnecessary. The MagShoe’s design works perfectly with the new MagRing. In addition, it includes a built-in hole to accommodate modifiers that use an umbrella shaft. There's a large squeezable button that allows photographers to adjust the angle of the MagShoe quickly, easily and with precision. 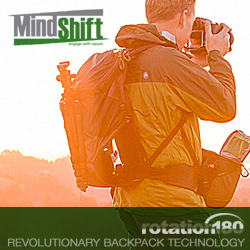 Additionally, it was designed to be operated with just one hand, so you can attach it, lock it and adjust it without ever putting your camera down.